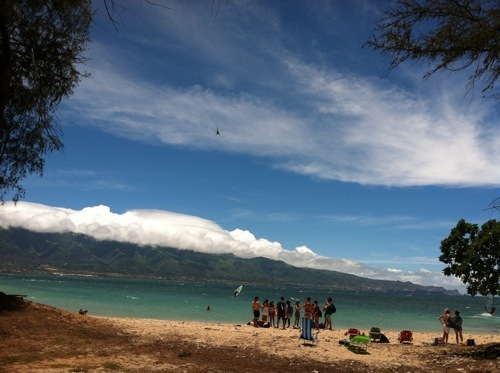 The photo above was taken at Kanaha Beach yesterday, during the Maui Race Series. My husband has been volunteering on this event for many years now, (26 years I think). This is one of the many events Hi-Tech Surf Shop organizes for the community of Maui. Life has been pretty busy for me here on Maui. 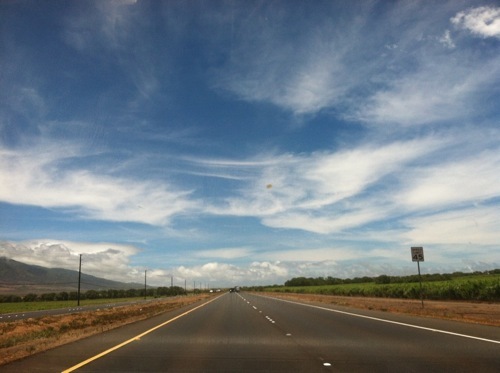 I know it sounds oxymoron – busy and Maui just do not seem to go well together. Let’s just say, I am relatively busy. Compared to the life in the big city, you’d probably say my life is n a slow pace, but here I feel like it’s busy. I started a full time job, working in an office from 8am to 5pm. I am the new Agent Services Coordinator at Keller Williams Realty Maui. My kids starts school on Monday. Summer vacation is “over” for them. They are on a year round school calendar so they get less summer vacation but have many breaks throughout the year (longer Spring Break, etc.). You guys are awesome! All of you who had been supporting A Maui Blog by reading and sharing this little blog of mine, and especially to all of you who voted for this blog. 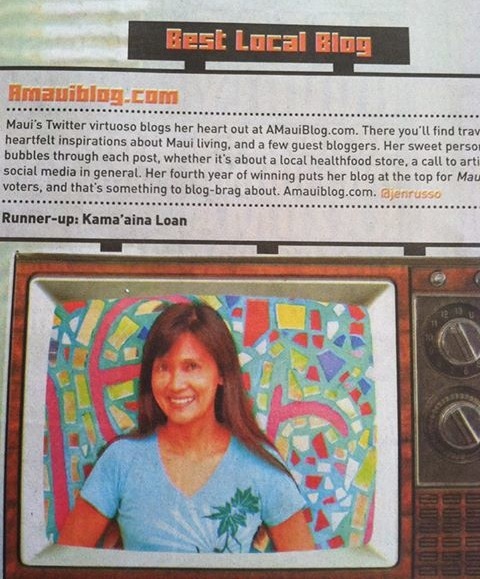 We made it again: A Maui Blog had been voted the Best Local Blog on Maui for 2013. Hey, that’s our 4th win in a row! The night prior to the announcement of MauiTime’s Best of Maui winners, Erik Blair and I were at Starbucks meeting about social media stuff. That night I told him that I didn’t think A Maui Blog will win the Best Local Blog on Maui for 2013 because I had been very inconsistent with my blogging this year. I was so busy that I even forgot to mail my Maui Time Best of Maui ballot so I didn’t even get to vote for myself. Some of you are probably thinking, “why didn’t you vote online?”. I know I can do it online but for those of you who voted, you know that it’s not easy to decide who to vote for each categories. That’s why I like looking at it in print. I like filling out the paper ballot. Anyway, as I was saying before, I just wasn’t confident that A Maui Blog will win. But it did, and it’s all because of you! Thank you all so much! And thank you Malia of Mamala O Maui for taking a photo of the write up (as you can see, I used it here too 🙂 ). Now it’s time for me to end this post and say aloha for now. Next post should be my #GoLanai experience. I had been wanting to share that with you for a while now but still hasn’t. I have all my photos lined up, just have to type the talk story that’s in my head. In the meantime, let me know how you are all doing. You can always use the comment section of this post to share something about you and how life is treating you these days. I’d love to hear from you! Congratulations Liza – well deserved!